A clever addition to the Box Appetit: this bag can carry your meal with elegance and serves as a table / table set for dinner. 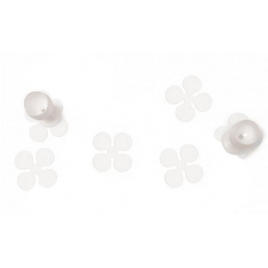 Adorn your table with these pretty under-the-glass shaped flowers. With its contemporary lines motif of a moon and stars, this tablecloth of the Italian brand Creativando brings a new breath to this classic linen. With its black and blue central motif and contemporary graphics, this tablecloth "Fish" of the Italian brand Creativando renews this classic linens. 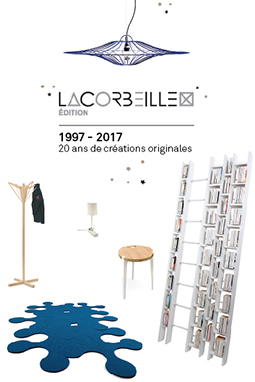 Very aesthetic and decorative, the decryption of this tray / art work of Passereau by the designers Ibride brings you a little further between tradition and modernity; classicism and provocation! 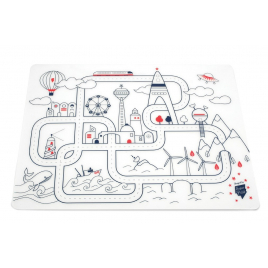 To protect the table at lunchtime, or for activities, this endless coloring table set decorated with superheroes and space shuttles will delight the little guys! 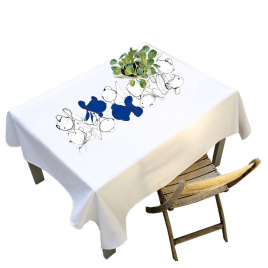 To escape between two dishes and protect the table, this table mat Magic Tree will make the toddlers happy! 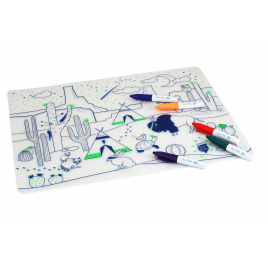 For small Indians and other cowboys, this Cactus Valley coloring table set will turn mealtime into a creative moment; and protect at the table: what more can you ask for? 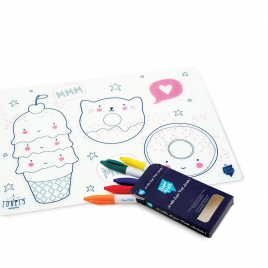 This version designed by A Little Lovely Company of the table set for Super Artists Superpetit will fill the most girly and / or the most greedy! 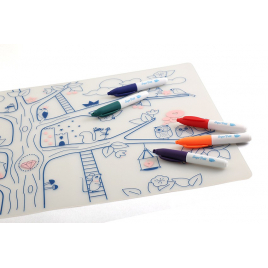 This soft silicone desk pad with its erasable touchpad will allow you to note your appointments, to scribble ... 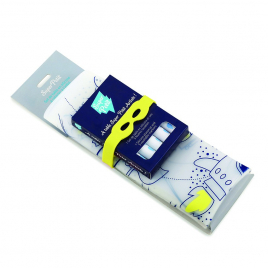 It will become your darling, in the office as at home! 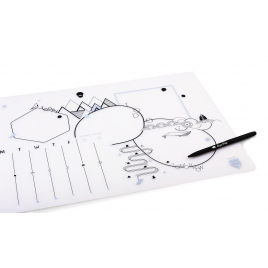 This soft silicone table set is multi-function: it will protect your table at mealtime, during manual activities, will serve as coloring and circuit for small cars: incredible no? 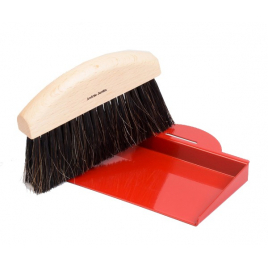 Essential table accessorie of our grandmother, this dust brush and its crumbs tray are here revisited with very contemporary lines and design.